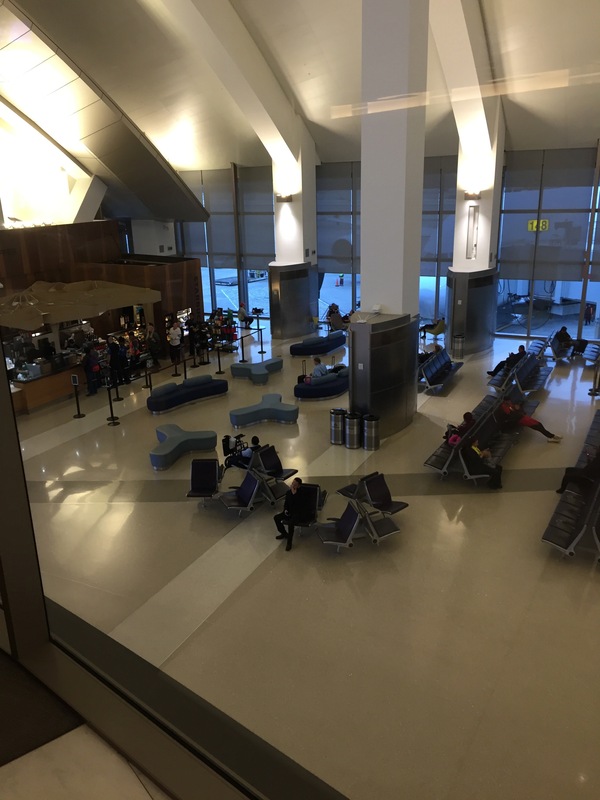 This is a review of the Korean Air Lounge LAX Airport. My colleague recently traveled to Tokyo on American Airlines on a business trip. 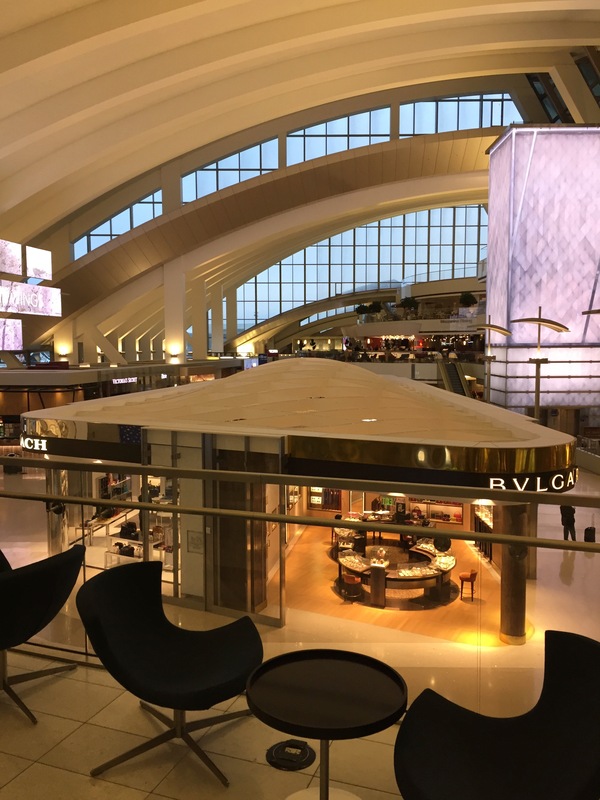 He had some time at the Los Angeles International Airport, so he visited a few lounges to pass the time. 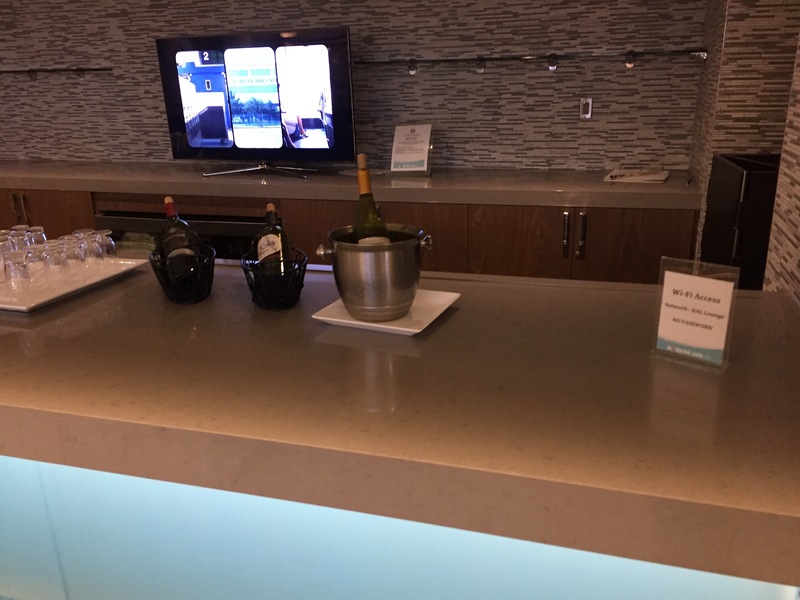 The Korean Air Lounge is a Priority Pass Lounge. 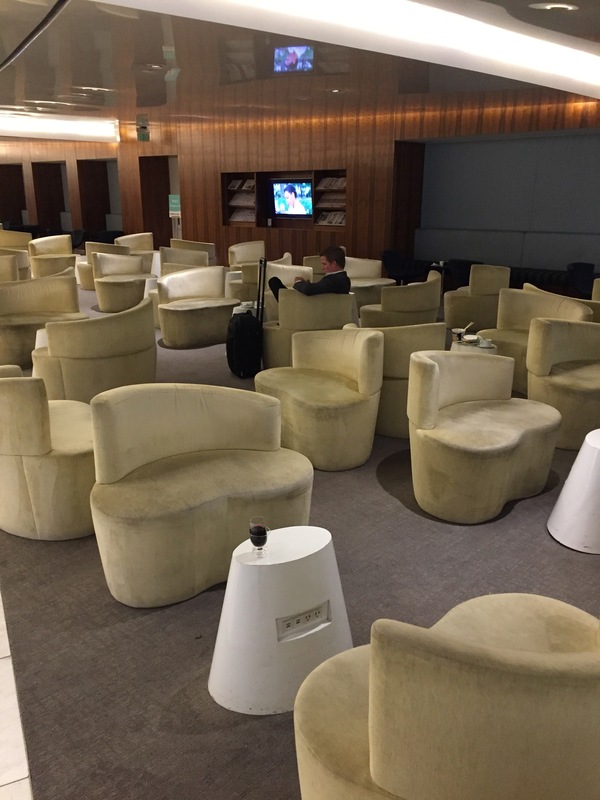 My colleague got access to the lounge via his Priority Pass Membership. You can get access using the John the Wanderer affiliate link to Priority Pass. We appreciate your support of the blog. 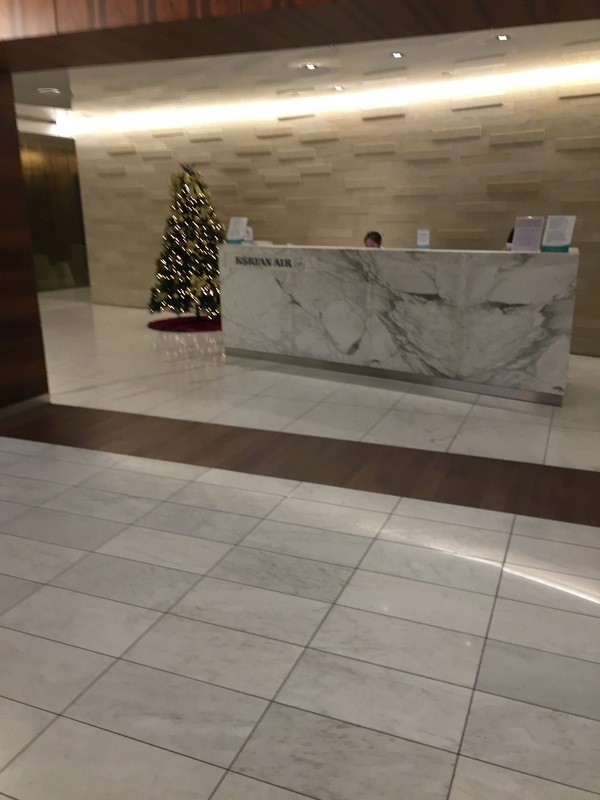 The agents at the front desk welcomed me when I arrived. They processed my Priority Pass membership card and asked me to scan the terminal. The agents welcomed me to the lounge. 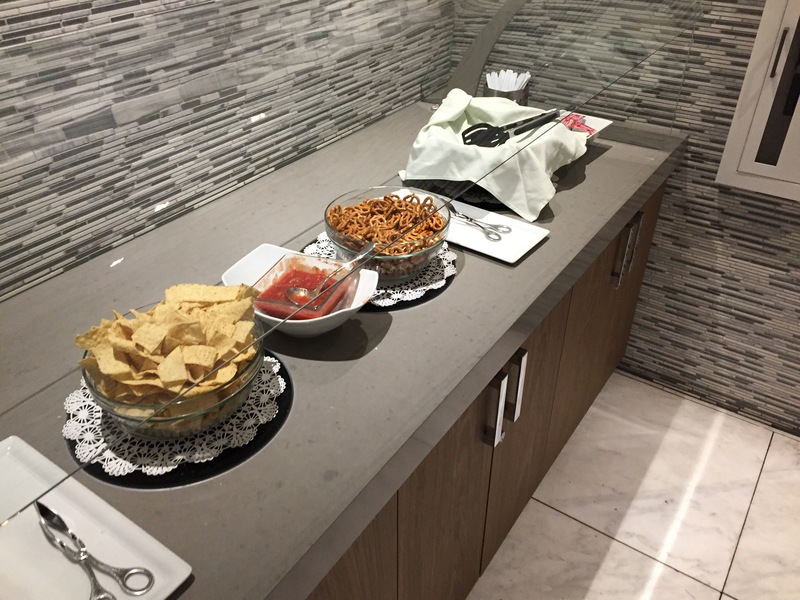 Staff members were noted to circulate the lounge and they were greeting guests as they walked by, the staff members removed used dishes, glasses and trash and kept the area clean. 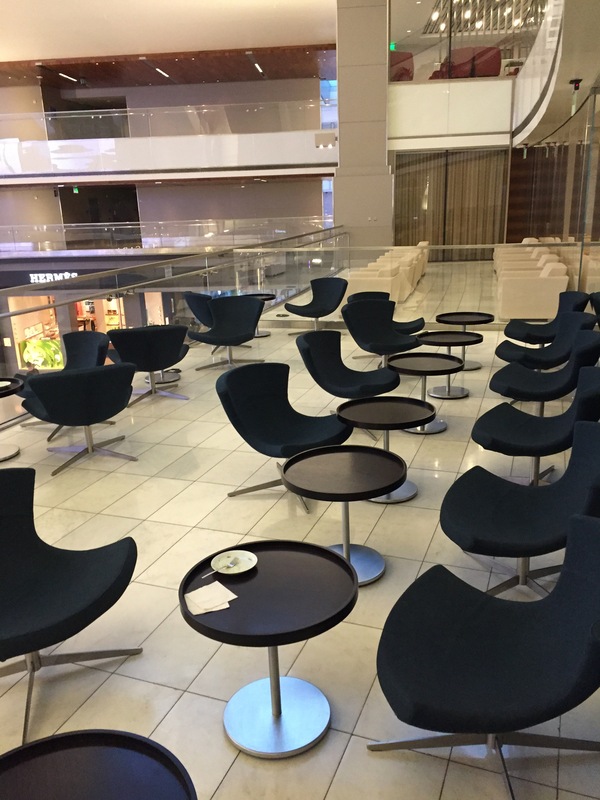 The lounge is located within the airport and it offers an open air terrace that overlooks the interior area of the terminal. The lounge is setup in a large room with various tables and chairs. Outlets and USB power were located near most of the tables. The seating area was comfortable and there were plenty of seats available. The lounge office a self-service bar with limited alcohol options. A few spirit bottles were available along with mixers. Three wine selections were offered. 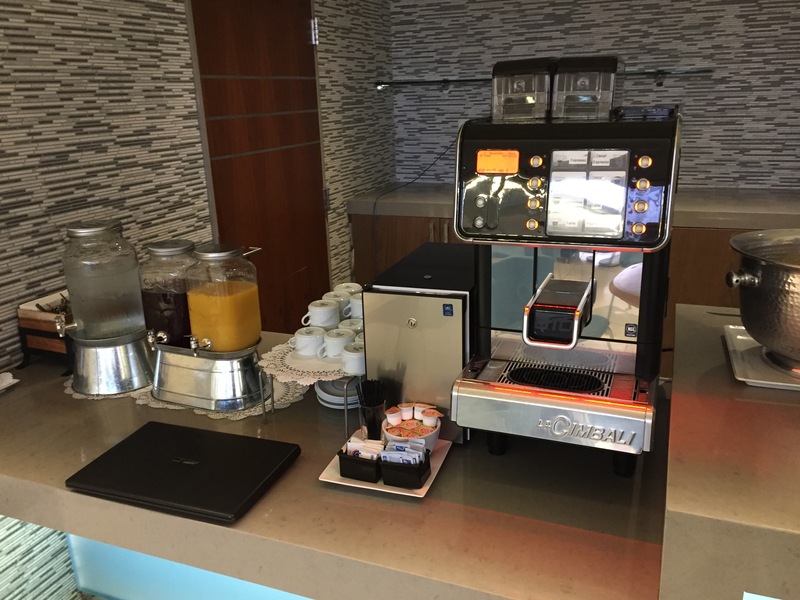 In addition, a coffee machine was available. 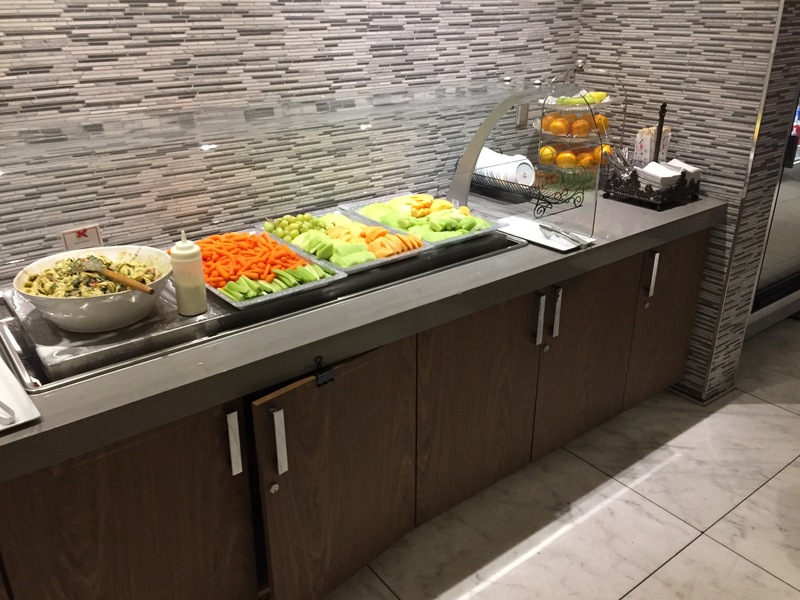 The food buffet was in a separate room located adjacent to the main lounge room. 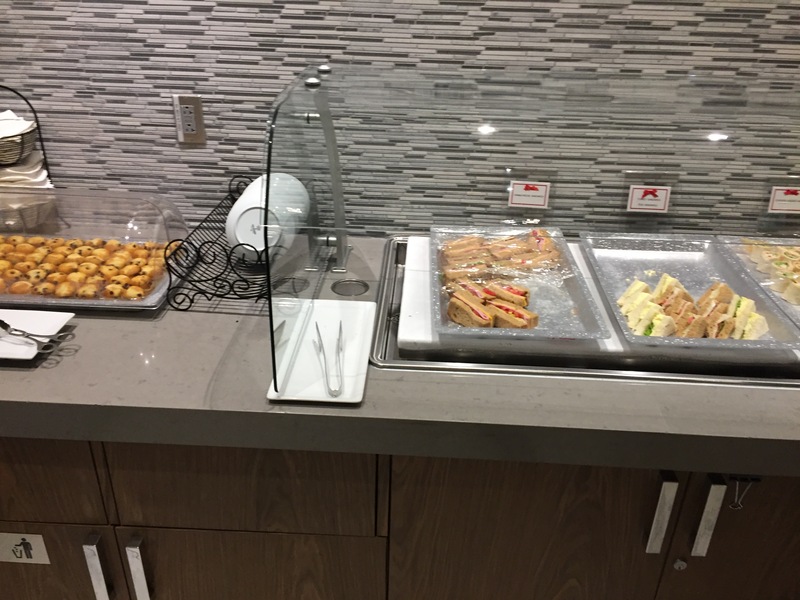 The food options included Western and Asian items including both hot and cold selections. Noodles and Raman were available along with sushi, fruit, vegetables, desserts and breads. The food was displayed neatly. 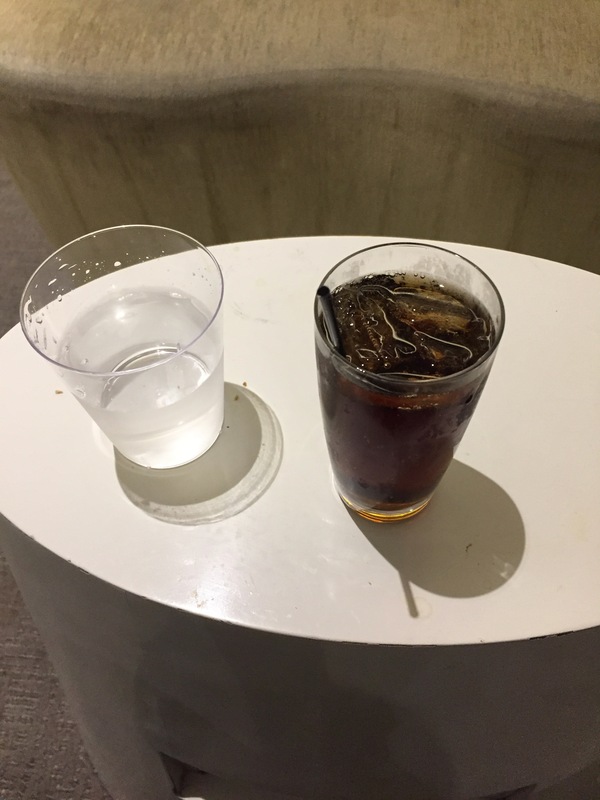 I made a Rum and Coke and relaxed in the lounge a bit. The lounge offered plenty of seating options. The tables and chairs were comfortable. While the beverage options were limited, the food buffet offered a number of selections that should please all the guests. The staff were polite.